Scratch is one of 53 eateries participating in the first-ever Spokane Restaurant Week. Good ideas are often their own best ambassadors. They don’t need someone to proselytize on their behalf; they speak for themselves. And Restaurant Week, by all accounts, is a good idea. The event gives restaurants of all styles and sizes a means to woo customers en masse. In turn, diners will have the opportunity to sample new fare — or revisit longtime favorites — at an affordable set price. Tim Zagat, who’s credited with co-founding the very first Restaurant Week, has been quoted as calling it “a win-win” for everyone involved. That would explain why a concept that emerged as a four-day promotional stunt during the 1992 Democratic National Convention in New York City has since been eagerly adopted by cities around the world. This year, thanks to a collaborative effort of The Inlander and Visit Spokane, our city can count itself among that unofficial list of global participants for the first time. According to T.J. Hake, senior director of business development at Visit Spokane, the decision to launch Restaurant Week here was a response to a “larger trend” that couldn’t go unnoticed. “If you look over the past few years, Restaurant Week events have evolved and spread throughout the country,” he says. Some weeklong events have turned into months. Some have become biannual celebrations of local cuisine. And when Seattle began enjoying its own pair of Restaurant Weeks in 2010, it seemed self-evident that Spokane should follow suit. 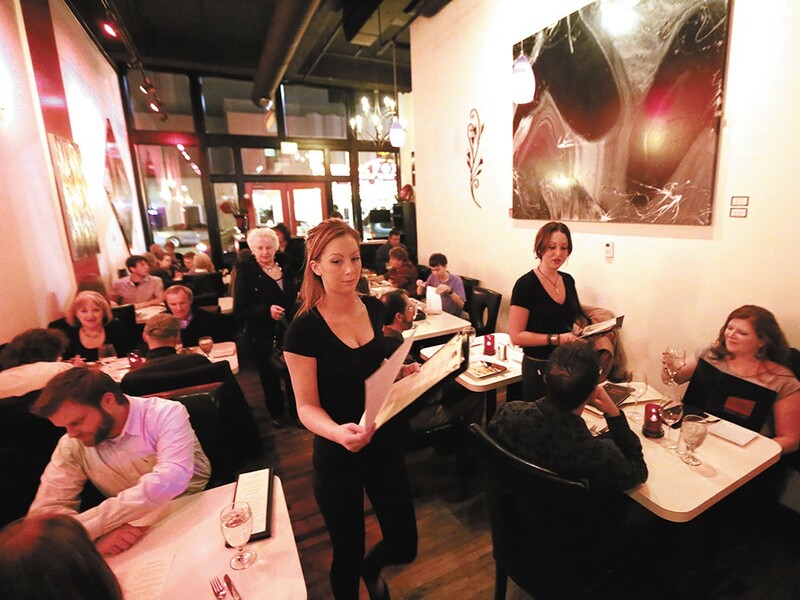 Organizers at both The Inlander and Visit Spokane were pleased to see 53 restaurants — more than initially anticipated — register to offer fixed-price menus for a 10-day period beginning on Feb. 22. “When you look at the culinary establishments we have in our area, they’re just as good, if not better than Seattle. A good portion of Spokanites can vouch for that,” says Hake. Ten years ago and about 1,000 miles away, the staff of Visit Denver found themselves in a similar — though slightly more pressing — situation. Travel + Leisure magazine had just rated the Mile-High City a mere 24th out of the top 25 cities in terms of fine dining. Through determined sponsor collaboration, Denver began its own Restaurant Week in 2005 with 84 restaurants. That number has now grown to 351, and one week has stretched into two. Denver’s success with Restaurant Week is one of many examples of how these independent events have flourished in their respective cities and contributed to a larger phenomenon. Hake looks to Denver and sees no reason why Spokane, which has a metropolitan area just one-quarter the size, couldn’t expect similar results. Experimentation and socialization are clearly part of the event’s continued and ever-widening appeal. “In Spokane, Restaurant Week will give people two attractive price points — $18 or $28 — to allow them to try restaurants they haven’t been to,” Hake says. “Instead of a fast food restaurant, they can go to a steakhouse or a fine-dining establishment.” And thanks to the prix fixe menu, diners can feel more comfortable about going along with friends, colleagues, neighbors or extended family.